Hoping all are enjoying the particularly brisk Fall on the East coast, with the magnificent tree colors and milder temps elsewhere! More than ever before the Current Energetics whirling and swirling can feel like a maelstrom with the vessel of you being tossed hither and yon with seemingly the only way to stay afloat by shutting out the storm and just bale out enough water to not sink! The fear factor is at its highest with many feeling powerless and helpless to turn the tide. But at the center of every storm is a space of quiet and calm. For many Old Souls who have pulled the camera far back enough to see the wider galactic and/or universal view, it is in exact order and in line with the immense evolutionary leap Earth is attempting. ALL the lowest vibrational aspects of Human Nature must be revealed and catalyzed for them to be transformed. For how can we create a ‘new world’ consciously when such strong primal urges, demands and fears of the ‘old world’ remain unconscious and dictate our behavior and choices? While cognitive awareness and behavioral modification whether by way of the current allopathic methods or those within the framework of ‘new age’ or spiritual awareness are highly valuable, for those working on Mastery of certain Soul purposes they will not reach deeply enough. For them this Evolutionary leap calls for the transmutation of ancestral, cultural (both current and that of their heritage), and even spiritual lineage levels of an ‘issue’. The more deeply a personal aspect is transmuted the farther reaching the effects. But it is not primarily for the Earth ‘project’ that individual Souls are doing this. For through this transmutation process, portals are opened through the extremely complex Human Energy Field, enabling other existences within the individual soul’s trajectory to be accessible. Providing the opportunity to expand the Soul’s experience, resolve a piece in that existence as well as this, or even complete another existence’s experience entirely. Moreover this allows the individual to actually and truly live multi-dimensionally in the here and now. Making accessible those ‘other worldly’ abilities and ways of creating, connecting and transmitting, unique to each person, to be utilized here in the shaping of ‘the new way’ of being as humans. For science as well as spirituality is demonstrating that WE create Reality! Yet, the past few months have also produced great distress to some on the path as they have been facing old patterns thought to be resolved, causing what seems like a ‘reverting back’ to feeling states or ways of behaving. Such is the result of certain “Opposite Energetics” currently flowing through our planet and Old Souls of course will feel it most intensely. For in this dualistic universe, there is always an equal and opposite aspect of everything! All of which have the right to exist and through which we have the freedom to expand our soul’s experiences. Why we each chose to explore a universe with this ‘flavor’ and level of separation! Unfortunately this ‘reversion’ can produce great shame, guilt and self judgement for apparently ‘going backwards’. When in fact this can be a huge opportunity to tap deeper reservoirs of emotion, which fuel the transmutation process. 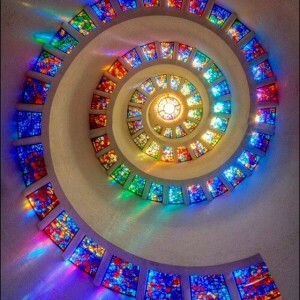 Which then opens an even more profound leveling through the spiral of soul expansion. Resulting in coming to love, respect and acknowledge your self and your Self even more. You likewise have much more facility to create your life as you wish it to be, since you are creating from the Dimension, World or Realm you have accessed through that process. Creating is almost immediate at this point, so as you transform the unconscious aspects, they have less power to generate negative or uncomfortable situations in your life as opportunities or catalysts to search for Self. The negative within works as a lightning rod to larger Negative Forces, despite attempts to control and limit ones thoughts to only the ‘positive’, or to exclusively participate in ‘Light’ events or practices. Without the inner exploration of the ‘darker’ lower self aspects which correspond to those of the human species as a whole, the same issues keep circling around on the same level. More importantly in attempting to shut out the ‘dark’ within we are actually rejecting parts of us, perpetuating the very separation we are attempting to evolve! The physical and emotional anguish many are facing necessitate choice and action. Just as the ‘chaos’ and upheaval occurring in our society is requiring each of us to search our inner beliefs, feelings and thoughts to make choices and take action. Whether in our families, our neighborhoods, our communities, our work places, or our governments. But primarily inwardly. The opportunity to transform our personal past to no longer react from the perspective and position of the child. 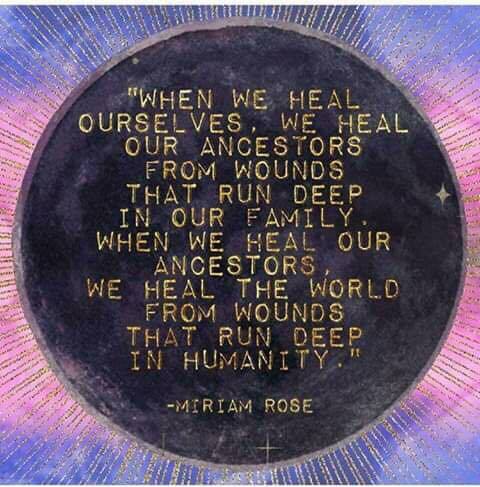 The opportunity to transform our ancestral past to cease passing on the patterns to future generations. The opportunity to transform cultural pasts held in historic enmities between tribes, countries, or religions embedded in our genes, ending wars and strife. The opportunity to transform the masculine oriented Piscean Age of the few dominating and oppressing the majority, implanted in the primordial portions of our brain and psyche, to an interrelated, diversified and unified species. The opportunity to transform the strictly 3rd dimensional human experience, to that of a multidimensional Divinely human experience. To aid you at whatever level you may be, I am offering packages of 75min “Alchemical Transformation Sessions” wherein the Current Energetics presenting themselves specifically for you combined with those of the Earth, Nature and/or Cosmos coming forth at that moment for you, creating an alchemy that can propel you, strengthen you, carry you, bolster you, ease you, lighten you, nurture you, depending on what your system is calling forth! Three sessions purchased by the end of the year for $333. That’s $75 savings! Sessions can be used at a future date and/or gifted to a loved one as ‘a mini vacation’, for the Holidays. “Earth Stewards” for anyone who is called to cooperate and collaborate with the Earth for mutual benefit. You’ll learn how to connect and communicate with the Earth finding out what she needs, the aspects of Nature involved or coming forth, what Energetic you are channeling at this moment or strengthen/widen your particular Energetic expertise; how to collaborate with other Stewards creating a synergy of the physical and the nonphysical for mutual benefit of those present and the Earth project; how to improve and amplify your intuitive skills/abilities. Also upcoming: One day workshops in ‘Practical Magic’; ‘Tending to Your Field’ (how to care for your Human Energy Field); and ‘Drawing your Dream to You’. We are all on a Spiral journey deeper and deeper into ourselves as Individuations of the Oneness emanating our colors in a magnificent array of duality and polarity participating in this fascinating undertaking of a universe, galaxy and planet in a simultaneous evolutionary leap. Honor and value your curiosity, adventurousness and intrepid nature—for I certainly do! November 12, 2018 in energetics.